Are you a college student who is interested in the medical field? Are you a second-career student who is considering entering a nursing program? Would you like to work as a nurse in a hospital or clinic but you would benefit from accelerated RN programs? If you are seriously considering a career in the nursing field, then you must be realistic about the amount of time and experience it takes to get a solid job as a nurse. Some potential nursing candidates should explore accelerated RN programs. Before considering accelerated RN programs, learn more about the kind of education requirements your potential employers require. Do they frown about accelerated nursing programs? These programs at reputable, accredited schools will carry more weight and will help ensure that you are not wasting your money on a program that is worthless. Keep all of these factors in mind before applying to an accelerated program, and follow this guide to get more information to help you make your decision. What are Accelerated RN Programs? Accelerated RN programs are programs designed for men and women who have earned a bachelor’s degree in an alternate field, such as engineering or English, and who would like to make a career change in order to become a nursing professional. Accelerated RN programs give the nursing candidate credit for specific general education classes and builds upon that credit with specific nursing and medical-related classes. Instead of having to repeat general education courses required of all undergraduates, largely in their first two years of college, accelerated nursing candidates bypass the general education requirements and focus on the classes they need in order to thrive as registered nursing professionals. Candidates should keep in mind that general education prerequisites for an accelerated program are for key courses such as microbiology, psychology, human development, anatomy, physiology, and others. By the end of the program, nursing candidates are prepared to take the official examination required to become a registered nurse, called the NCLEX. How Long Will I Be in Accelerated RN Programs? Many candidates in accelerated RN programs will spend between one year and 18 months working on their degree. A standard nursing degree requires about four years of full-time study. For example, at the University of Michigan, nursing candidates can earn a nursing degree in 12 months with full-time study, class time, and experience in local clinics. Keep in mind that no one who is considering the accelerated program should think that the program will be any less intense. It will be extremely intense and rigorous because of the amount of study and material one has to learn within such a shorter period of time. Keep this in mind as you consider the accelerated degree. In addition, you may also think about how you will make money and provide for yourself during this time period. Accelerated RN programs are designed with the working professional in mind, and you may find that some programs offer regular night classes so that you can keep your full-time job and take classes at night. Sitting down and evaluating all of these factors and considering what is realistic for you and what is not will help you move forward with your decision and determine the best possible scenario for you. What Can I Do After Graduating from Accelerated RN Programs? You have a wide range of options for employment once you pass the NCLEX exam and become a registered nurse. You are qualified to work as a hospital nurse, as a nurse in a pediatric unit, as a nurse in a nursing home or assisted living facility, as a nurse in a clinic, as a nurse educator, and in a wide variety of nurse management positions. The possibilities are up to you once you have that certification. 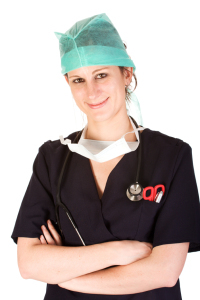 It is good to be realistic about the amount of time it will take to complete a nursing degree. Different candidates to nursing programs have different time limits and resources, so think realistically and reasonably about what kind of time and resources you can devote to a nursing program. Also, make sure you do your homework. You really want to read about the nursing degrees available at the schools you are applying to determine if an accelerated program is a good fit for you. If you are an undergraduate, sometimes you can take graduate level courses that will count toward a Masters degree in the nursing health. Talk to program representatives and have all the information before you make a decision. Either way, you will have a long road of study ahead of you that eventually will lead to a rewarding, skilled career.